Gearing up to the latest fashionable outlook makes you never feel kept out of the trend. When we invest and spend so much into the newest of clothing and accessories. Why, not keep up the same trendy and tangy sense while decorating and designing your room? It's your room that makes someone conceive your taste. When someone visits you, they should never leave without appreciating the best of your efforts of making your room look the best. While it comes to decorating, lighting up is one of the easiest and most brilliant ways to make it look the most creative and brilliant. And to ease you up with the best, tanglerline bliss swirl cup candle can make your house look a class apart from others. Perfectly designed and crafted for someone who appreciates style as you, it's priced in an affordable range, keeping your dream home in mind. It typically measures of 75mm*75mm*70mm. It’s specially built up with the finest wax and glass. Even, its packaging will not fail to amaze you. 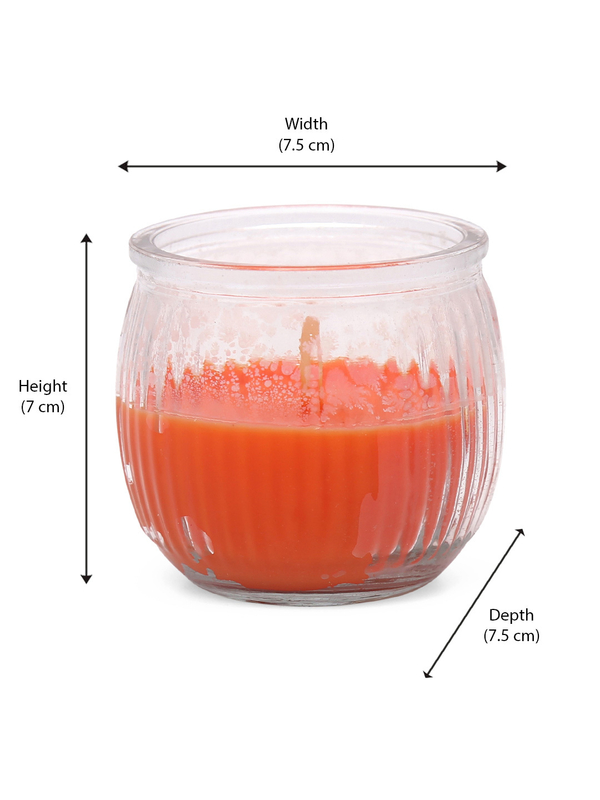 So, stop looking at exhaustive DIY videos to decorate your room, while you can make it simply by making your purchase @home.co.in/decor/tangerline bliss swirl cup candle and make your room look blissful with its orange glow.